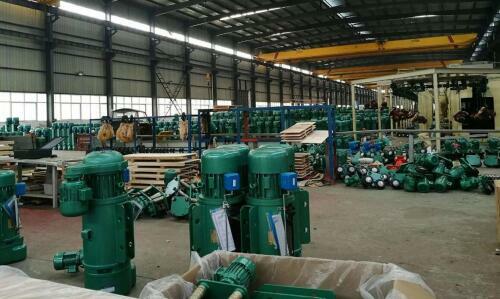 Monorail Crane Hoist fault occur in use, or because of quality problems, or because of improper operation, or for spare parts damaged, a variety of reasons is uneven. But whatever the reason, When the electric hoist broke down, the first thing to do is to cut off the power. First, check whether the power fuse of Monorail Crane Hoist is burned or not. If one phase is broken, the motor can’t rotate, then the electric hoist motor starts single phase, and the starting torque is zero. Enough fuse should be replaced. Second, the grid voltage is too low, the acceleration torque can not overcome the load torque, the starting torque is proportional to the square of the voltage, Not up to speed, should be properly increased grid voltage. When checking the motor during short circuit, it may be that the contact of the AC contactor is not in good contact and the line can not be connected. The contact mark of the contactor can be leveled out by sandpaper. Also should first check whether the control equipment wiring is correct. If at the same time check the core of the suction and disconnection, there is no blocking phenomenon, if necessary to replace the contactor. Stator windings are indirectly short-circuited, open circuit, or windings ground When appearing at the lead-out ground plate, the junction box should be opened for inspection. The power of Monorail Crane Hoist matching motor is reasonable, Lifting heavy objects can not be overloaded, If the Monorail Crane Hoist can not be rotated, it is indicated that the transmission mechanism such as the reducer is out of order. If the motor can start normally, it should check the drag mechanism, first remove the load and clear the trouble.